The 2006-07 AC Milan team: Paolo Maldini. Alessandro Nesta. Cafu. Rino Gattuso. Clarence Seedorf. Massimo Ambrosini. Kaka. Andrea Pirlo. Filippo Inzaghi, Andriy Shevchenko. All names you’re no doubt familiar with; all names of legends from Associozione Calcio Milano, better known as AC Milan. And a year you should keep in mind. The players above were at the core of probably one of the most successful era of any club in Italian football. From the late 90s to the late 2000s AC Milan was consistently one of the best teams in Europe and the world, with its peak at the 2005 and 2007 UEFA Champions League finals, winning one and losing one infamously. High league places, deep tournament runs, lots and lots of on and off the pitch success characterized these players and this era. So where did it all go wrong for the Rossoneri? AC Milan finished 7th out of 20 teams in Serie A, a full ten points behind local rivals Inter and a further twenty-three points outside of the top three. The 2016/2017 season will be Milan’s third consecutive year without Champions League football. The decline has been steep and rooted in a multitude of factors. The earliest point to which the fall can be traced to is the 2007 Champions League final itself. Milan had just exacted revenge on their old nemesis Liverpool; beating them 2-1 to win their seventh Champions League trophy. That squad had been the same for the better part of 10 years, but instead of owner Silvio Berlusconi and CEO Adriano Galliani to begin looking to the future, they handed a multitude of long-term contracts to the already aging squad of players. The, naturally, resulted in a stagnation of sorts for Milan. These players had passed their peak, but they were still being used; not unlike someone continuing to drive a car in very obvious need of servicing. Regardless, Milan pressed on with those core players, adding a few pieces here and there: like the valiant Thiago Silva, the speedy Robinho, the adept Alexandre Pato, and the mercurial Zlatan Ibrahimović (you might want to remember those names, especially Silva and Zlatan). 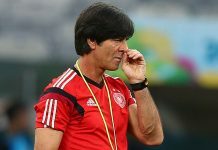 They also parted ways with Carlo Ancelotti, and welcomed Massimiliano Allegri to the helm. They were rewarded with a league title in the 2010-11 season, on the back of 14 goals each from Robinho, Pato and Ibrahimović (If you’ve been counting, you’ll have noticed that it has now been 4 years since the 2007 Champions League triumph. Keep that in mind because it is important). The season after that, those same crop of players managed only 2nd place as Antonio Conte’s Juventus side went undefeated to claim the 2011-12 scudetto. And then it all went to $@#%. Time is the hand that restores the power equilibrium in European football: when one club rises, the other falls. The ascension of Paris St. Germain has had the first part to play in the collapse of the Rossoneri. New owners, and hence new money, flooded into the Parisian club in 2012, and those in charge looked to the most successful club in Europe over the past two decades for inspiration; and so they bought both Thiago Silva and Zlatan Ibrahimović in 2012 by none other than the former AC Milan manager Carlo Ancelotti, who was now in charge of the French giants-to-be. This led to a sharp decline in form for Milan as they could never replace these superstars (for reasons which will become clear later). And ever since then Milan have struggled to attract the players they require to compete where they feel they should. You see, 2012 did not just see the departure of Zlatan and Silva to PSG, but also an exodus of all the core players who had been given contract extensions after the 2007 final. Nesta, Inzaghi, Gianluca Zambrotta, Massimo Oddo and Gennaro Gattuso all departed from the San Siro. Seedorf also said goodbye, alongside fellow Dutchman, Mark van Bommel. 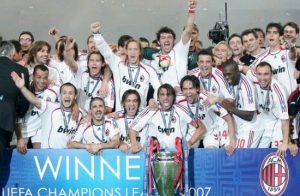 Milan, who had won the league in 2011, began to slip further and further down the league table. Most of the blame for this lies in the hands of the club’s owners, Fininvest. Fininvest is a financial holding company controlled by the family of Silvio Berlusconi, whose daughter, Marina, is the company’s chairperson. The company was one of the most notable victims of the global financial crisis of 2007 (told you that year was important). By 2013, Fininvest was operating on a loss of €486M and was forced to lay off huge numbers of employees. But Berlusconi remained Italy’s richest man. He still is. He could undoubtedly afford to inject much needed capital into the club. He probably wanted to. Badly. But with Italy still reeling from that financial meltdown and unemployment rising fast, his family, led by his daughter Barbara, warned that such displays of wealth would be extremely unpopular with the Italian populace, and so they effectively cut off his access to his funds. Barbara Berlusconi, pipped to remain at the club after its sale. And with his funds cut off, Milan’s access to capital reduced, which led to less inspiring transfer windows [and the demise of the fabled MilanLab, which unsurprisingly led to far more frequent injuries to Milan players in the coming yars], which led to an obscene amount of players below Milan standards coming to the club after 2012, which led to reduced fan morale, which led to worse league results, which led to the sacking of Allegri, which led to the appointment of Seedorf, which led to a dressing room fracture, which led to even worse league results, which led to the sacking of Seedorf, which further reduced fan morale. All of this culminated in the state of Milan after the 2013-14 season. 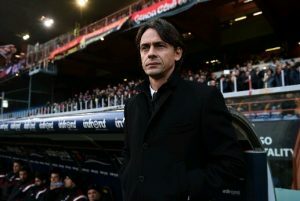 A terrible, aging roster, and a newly appointed coach in Filippo Inzaghi. The 2014-15 was the valley to the peak that was 2006-07. 13 wins, 13 draws, and 12 losses. 10th position. Only three good players on the roster. Something needed to change and fast. The fans had given up; and realizing this, his family decided the only logical thing to do would be relinquish control of the club to a party with the necessary funds to take Milan back to their once great selves. Some of you may be thinking: “But why was it this bad? 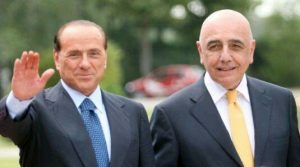 Milan should have still been good enough to carry on even without exorbitant funds.” Well, the reason this crisis affected Milan the way it did is because compared to clubs in Spain and England, Italian clubs rely far more on benefactors. Revenue from merchandising in Italy is a fraction of what it is in La Liga and the Premier League. This is a vicious cycle. Merchandising revenue is closely correlated with results. As AC Milan fade from the consciousness of young fans in Europe (i.e as the results get worse), their kits become less and less popular, which leads to decreased merchandising revenue, which leads to lowered incentives for wealthy people to invest money in the club since they feel they won’t be getting their money’s worth. This is why selling the club would be the best way to ensure that it gained the capital needed to compete at the highest level again. Before any of this could happen however, a serious suitor had to be found, and this didn’t happen before the 2015-16 season, so a transitional period of rebuilding was needed right there and right then. That season saw the first steps towards this. 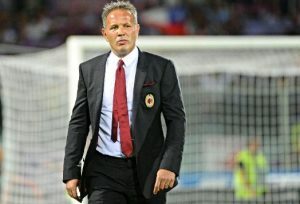 Sinisa Mihajlovic, a hard-nosed, no-nonsense manager was hired and swiftly got rid of all the dead weight from the 2012-13 season. He also injected youth into the side, and rode a solid 4-4-2 led by his summer acquisition Carlos Bacca and the rejuvenated Mbaye Niang, back from a loan spell at Genoa. This led to a 9-game unbeaten run from January to late March, and for the first time since 2011, hopes were high in Lombardy. “This would be our year,” “We would come third and return to the Champions League.” It all came crashing when Mbaye Niang was involved in a car accident in March. Sidelined for two months, his importance to the team soon became clear as in his absence Milan struggled against vastly inferior opposition, Mihajlovic was eventually sacked, and Cristian Bronchi managed to mess things even more by installing a 4-3-1-2 formation that wasn’t suited to Milan’s personnel, collected 2 points from three successive games against the bottom three, and ground to a 7th-placed finish: missing out on automatica Europa League qualification, unless he won the TIM Cup Final against Juventus (spoiler: he didn’t). So that leaves us at the present. Fininvest is now negotiating the sale of the club to a consortium of Chinese investors. Negotiations have gone well and the final decision rests with Berlusconi. Milan’s roster has been rejuvenated with youth and is trending upwards for the first time since 2010. Things are looking up for the red&black; and in time the Rossoneri will be red&back. 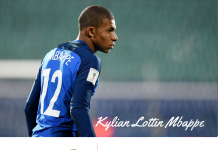 Next article‘Golden Generation’: curse or blessing?